Here is a fun project I have done. It is some silly gingerbread houses. I called the site GingerbreadGhetto.com. I thought it would be funny to do run-down gingerbread houses instead of those idyllic ones that most people create. 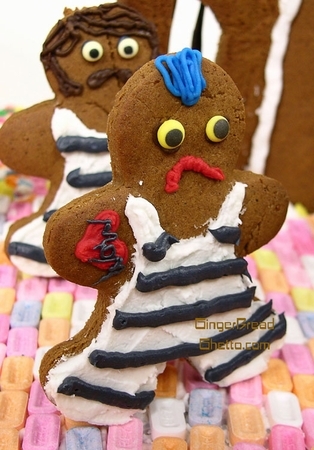 Check Out The GingerbreadGhetto.com website here. Thanks for visiting my website. If you need me for a fun project, please contact me. I enjoy work that is fun. home | About My Site | Privacy | email me? | site map | view cartCopyright Tom Nardone. All rights reserved.